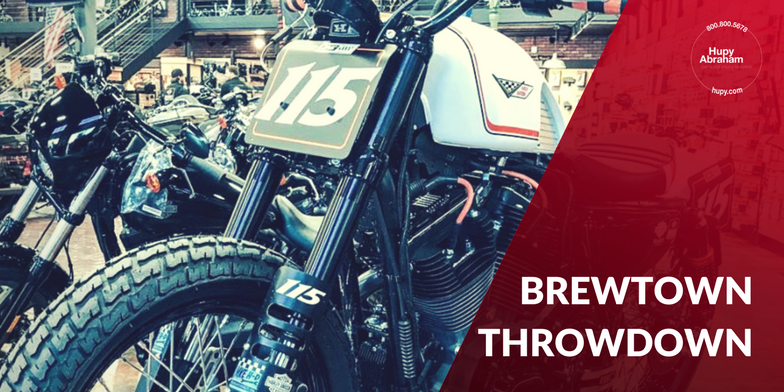 ICYM – Harley Davidson's “Brewtown Throwdown” | Hupy and Abraham, S.C. It seems there’s a flurry of activity in the Midwest for motorcyclists during February. Ice riders are at the peak of their tire-studded season, IMS Chicago is in full swing and Mama Tried’s Motorcycle Show and Flat Out Friday Race dominates motorsports headlines and hearts throughout the Midwest. This year however, Harley threw its own (leather) hat into the chaotic ring with its customized Sportster build off, the “Brewtown Throwdown.” Arguably the company’s most successful and versatile bike, the Harley-Davidson Sportster has been in production for over 60 years and has been modified into everything from hill climbers to commuters. This year, Harley corporate tapped four local dealerships, Hal’s Harley-Davidson, Milwaukee Harley-Davidson, House of Harley-Davidson and Uke’s Harley-Davidson, to compete in a 48-hour build off to be done in time for an unveiling at Mama Tried’s Flat Out Friday. With a lot of scrambling, late-night wrenching and elbow grease, what the bikes morphed into couldn’t have been more varied. Uke’s Harley Davidson created a cool blue café racer out of their Sportster Iron 1200, while House of Harley-Davidson went almost in the complete opposite direction with their lean and mean blacked out “Bottle Service” Forty-Eight Special-turned-bobber. 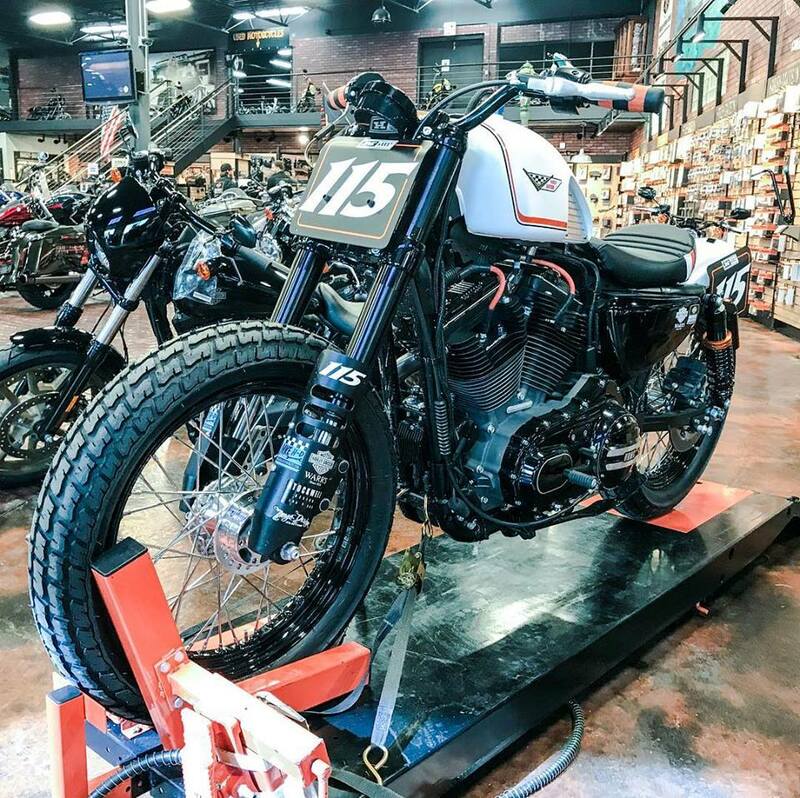 Milwaukee Harley-Davidson, true to form, channeled classic racer roots with their Roadster turned flat-tracker (pictured), shaving as much weight as possible and actually entering the bike in the Flat Out Friday race! Hal’s Harley-Davidson also channeled the roots of the company, but in more of a garage-build fashion by turning their 1200 Custom into a street-savvy raked out and mean-looking chopper. Although it doesn’t sound like there are any plans to launch any of the custom designs into production any time soon, Harley has announced two new versions of its 1200 Sportsters for eager fans this year – the Iron 1200 and Forty-Eight Special. You can also always buy a used Sportster of your own and make your very own Brewtown Throwdown replica! At the law firm of Hupy and Abraham, we have been a PROUD supporter of not only motorcycle events and groups, but also the “Watch for Motorcycle” awareness message for over 40 years. You can support the sport and get your FREE sticker in vintage black or classic orange by clicking here!